The $82-million addition is 8-stories tall and brings together all of our outpatient clinics on the Akron campus. 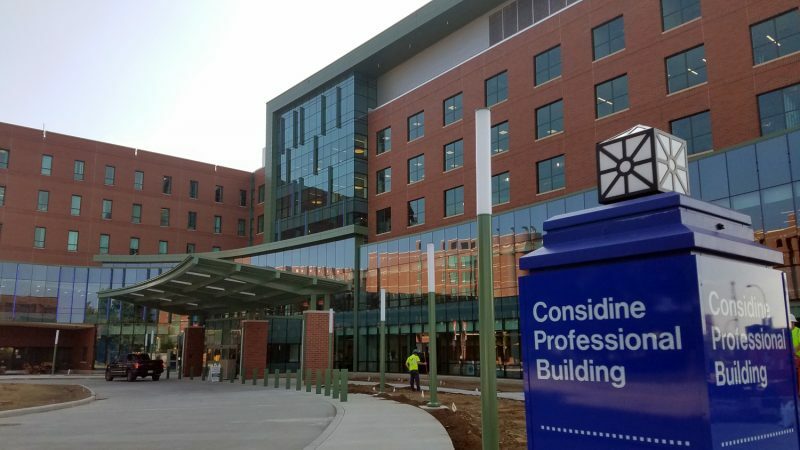 In March 2017, Akron Children’s Hospital broke ground on a 230,000-square-foot addition to the Considine Professional Building. Today, the driveway and front doors are open, as well as a few of the departments. 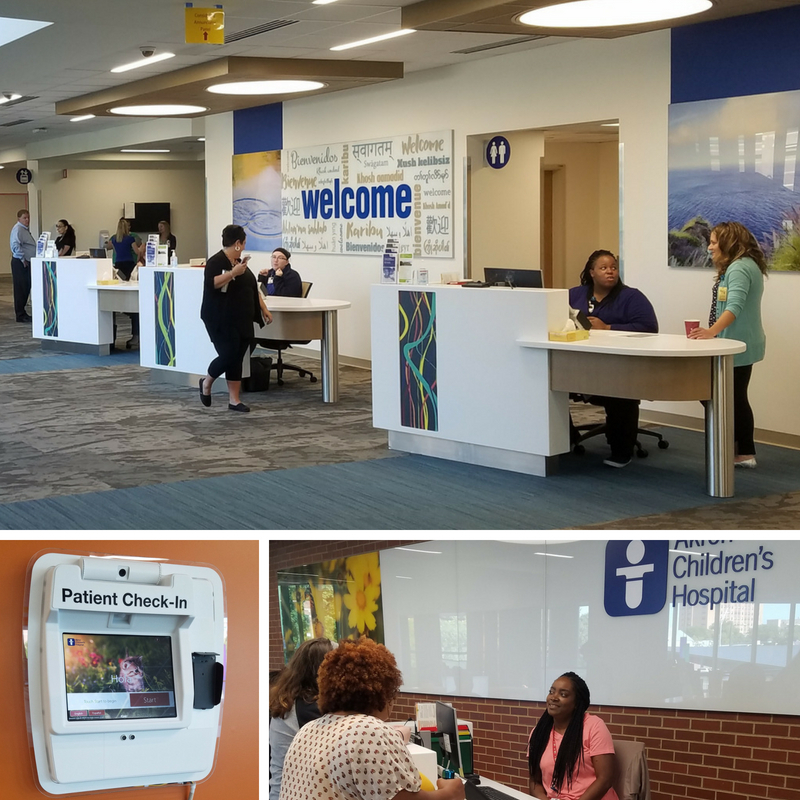 The new Welcome Centers and main lobby areas on Levels 2 and 3 also opened with self-serve kiosks and staffed desks to register patients arriving for appointments in the building. The Welcome Center desks and kiosks offer centralized, convenient check-in for all departments in the building. 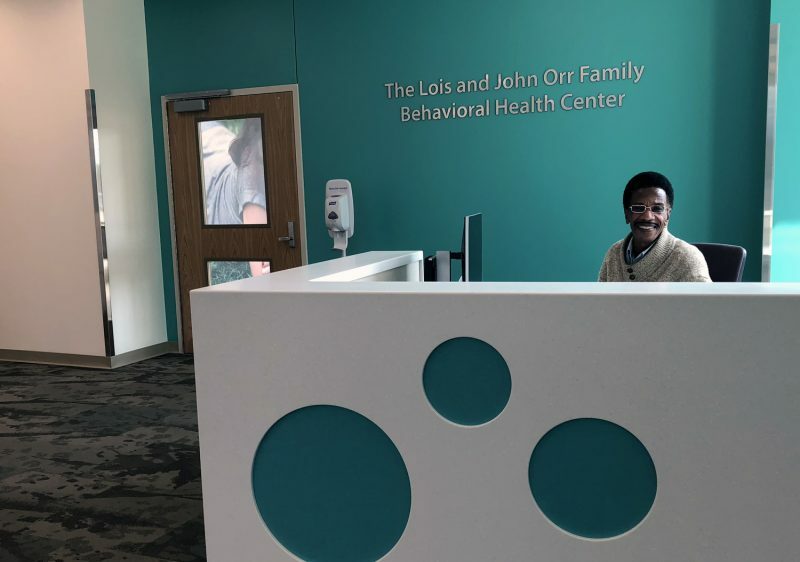 Gastroenterology and General Pediatric Surgery saw their first patients in the new offices on Monday; they are located on Level 6. 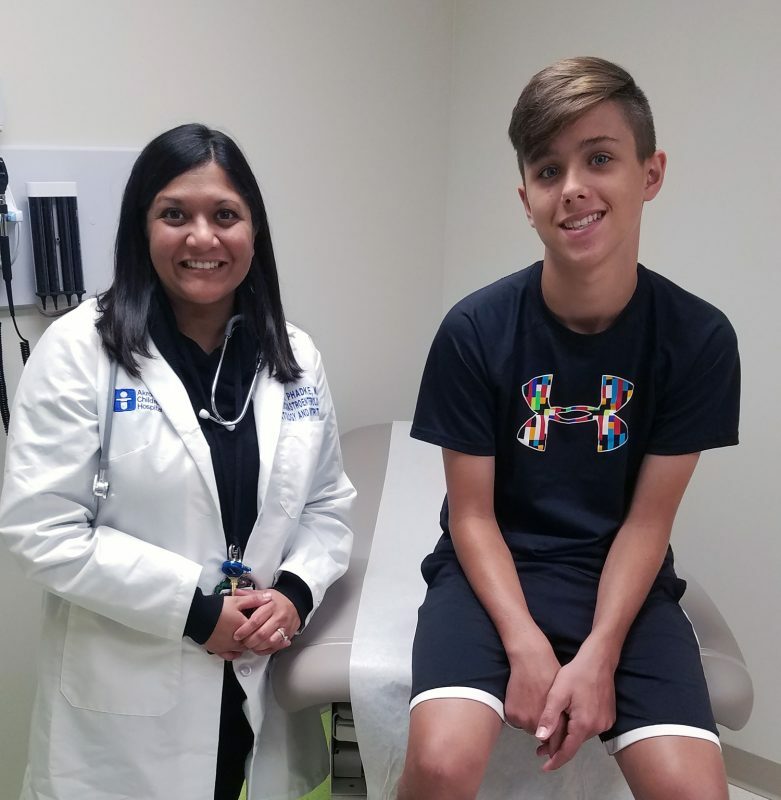 Pediatric Gastroenterologist Dr. Madhura Phadke was excited to welcome one of the center’s first patients, Nate Byler, 12, of Millersburg, to Gastroenterology’s new exam rooms. 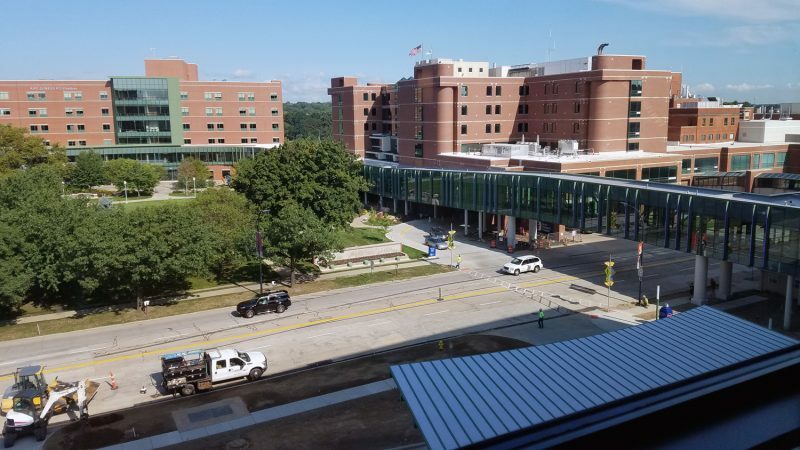 Once all 10 departments move it, the new building will bring together most of our outpatient clinics on the Akron campus. Guest Attendant John Carter’s new information desk is just inside the front doors. He’s been looking forward to his new “home” for the last 16 months. He said the first few days there have been fantastic! In addition to the existing bridge that connects the Time Line lobby in the Main Hospital Building to Level 3 in the Considine Building, the new bridge will open with walking access to the Atrium Lobby. A view from Level 4 of the rest of the Akron campus and the connector bridge over Bowery Street. Parking will be available in the attached P1 Bowery Deck, and valet parking will be offered at the Bowery Street entrance under a covered canopy. The Considine Professional Building is located at 215 W. Bowery St., Akron, OH 44308. 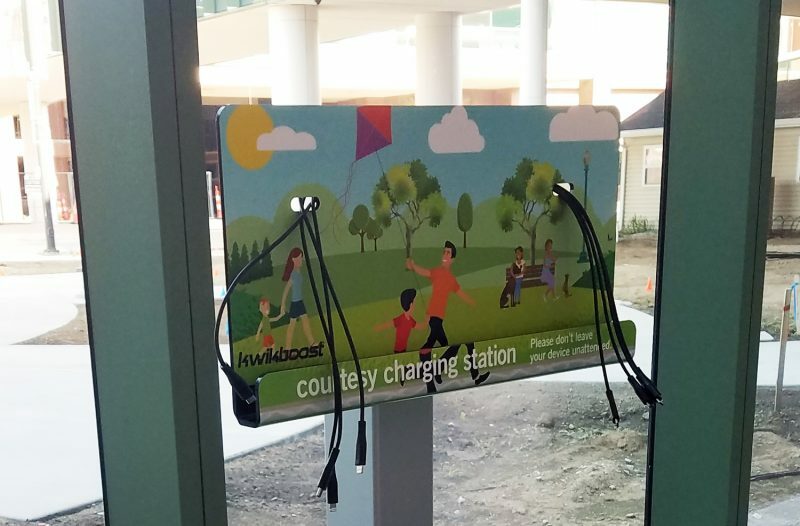 Courtesy charging stations are in several areas throughout the building. 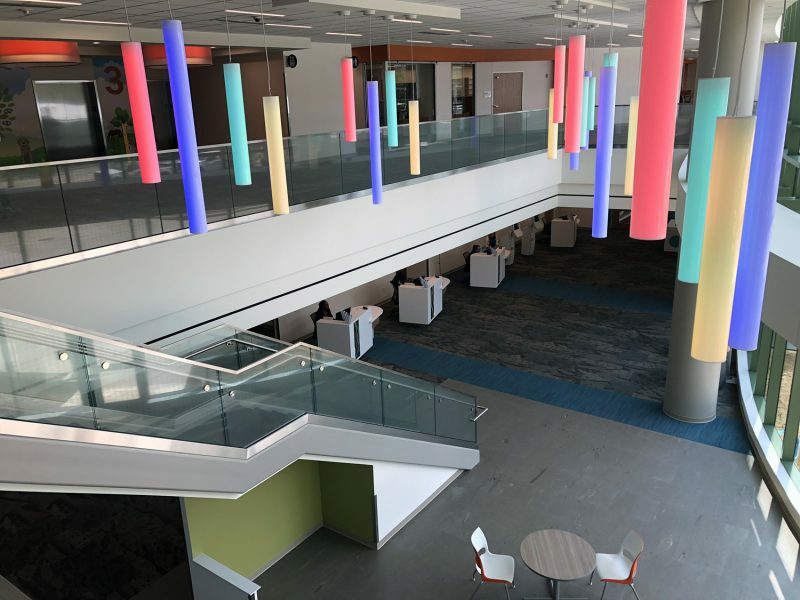 Designed “through the eyes of a child,” each floor reflects a neighborhood theme, using colors and artwork to create a soothing, healing space. Plan to come see it during a Community Open House on Sat., Oct. 27, 11 a .m.- 2p.m. Mark your calendars and stay tuned for details. Watch a 5-minute time lapse video of construction from the outside of the building. Drone footage of the construction.